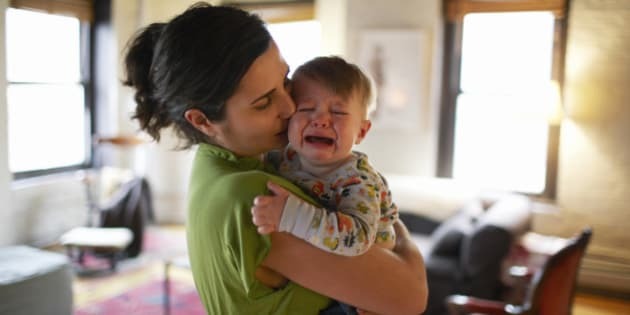 A mother's soothing presence not only helps relieve her baby's pain, but it could also alter gene activity in the region of the brain involved in emotions, according to a new study of rats by the New York University Langone Medical Center. In the study, believed to be the first to show the short-term effects of maternal caring, researchers performed genetic analysis of tissue from the amygdala region of rat pups' brains, which is responsible for processing emotions. The analysis found several hundred genes that were more active in those experiencing pain than those that were not. With their mothers present, the number of genes that were similarly expressed dropped to less than 100. "Our study shows that a mother comforting her infant in pain does not just elicit a behavioral response, but also the comforting itself modifies -- for better or worse -- critical neural circuitry during early brain development," says senior study investigator and neurobiologist Dr. Regina Sullivan, a professor at the NYU School of Medicine and its affiliated Nathan S. Kline Institute for Psychiatric Research. She cautions that associating pain stimuli with a mother's care -- a powerful symbol of safety and security -- could have negative long-term consequences for the infant. What's important for now, she says, is learning about the nurturing process in the infant brain. This, according to Dr. Sullivan, could help with pain management in pediatric care and in treating problems that arise from pain, physical and mental abuse experienced during infancy. Dr. Sullivan presented her study at the Society for Neuroscience annual meeting in Washington DC on Tuesday.